Because of the Enhanced Vapour Injection (EVI) technology scroll compressor, EVI air source heat pump can work stably in the low temperature condition. 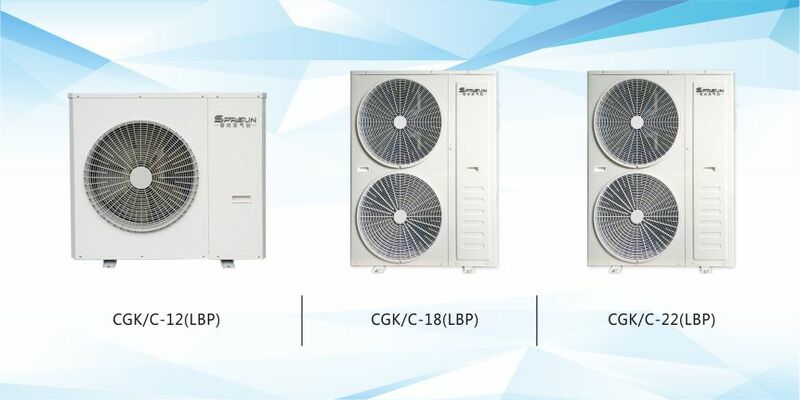 When the temperature reaches the set value, it will automatically change to low frequency operation mode, and the effect of energy saving is remarkable. 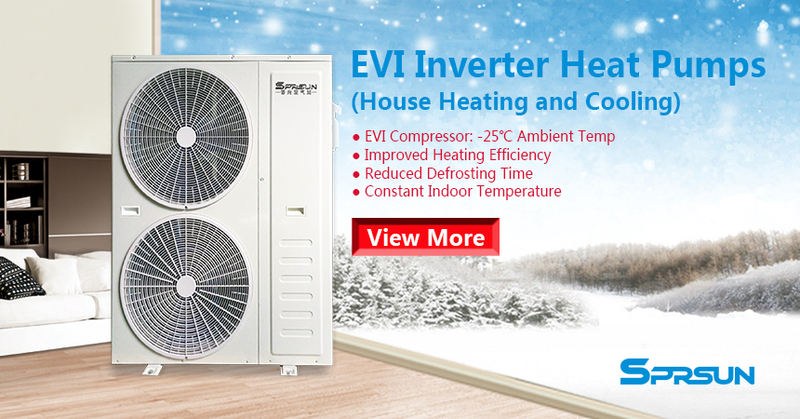 The frequency converter enables the EVI inverter air source heat pump to automatically adjust the compressor operating frequency according to the ambient temperature. 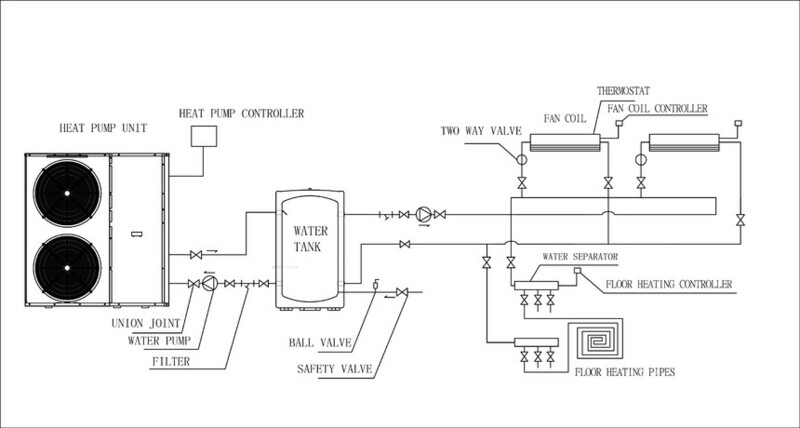 When the unit needs defrosting, it will use high frequency operation, which greatly reduces the defrosting time and thus improves the heating efficiency. 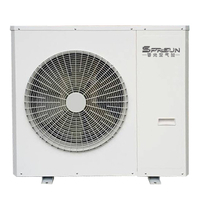 SPRSUN EVI inverter heat pumps can operate in the range of 30Hz to 70Hz, output and utilize heat energy according to the environment and the set temperature. 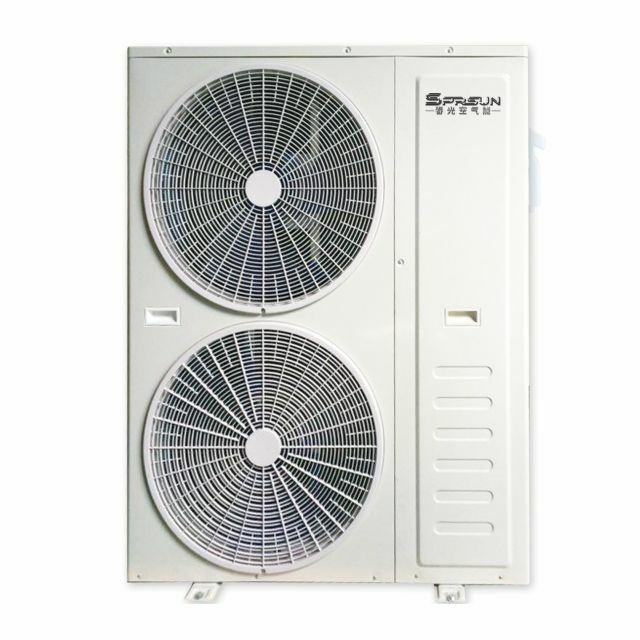 Inverter heat pumps can maintain the set temperature with a lower operating frequency after reaching the set temperature and will not frequently start or turn off. Cooling: air temperature (DB/WB): 35℃, wet-bulb temp: 24℃, water temperature (inlet/outlet): 12℃/7℃. 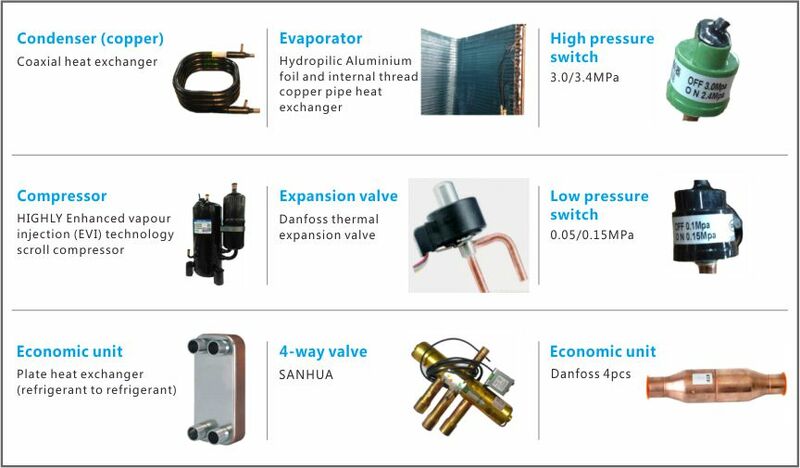 Our EVI inverter heat pumps adopt high quality components, such as Enhanced Vapour Injection (EVI) technology scroll compressor, Danfoss thermal expansion valve, SANHUA 4-way valve, etc.